With Cyclone Kleen Up you have a professional team of certified and experienced industry experts for diagnosing your repair needs, exploring your best options, and working with you to design the best the possible solution that resolve all of your property recovery issues. 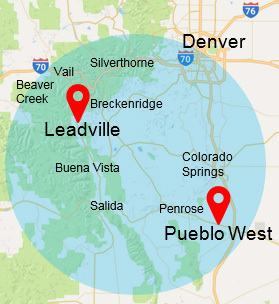 We have over 31 years' experience in property damage restoration serving Leadville, CO and Pueblo, CO.
Water, fire, smoke, bacteria or mold in any form, in your Home or business is an unexpected problem that require immediate professional attention. We guarantee that Cyclone Kleen Up will reduce the stress involved with the damage of your property by providing professional emergency recovery services. We are ASHE members certified in infectious control. We repair hospitals after fire and water damage. We specializes in the advanced bacteria/mold treatment and remediation of all surfaces against water damage, fire damage, smoke damage and in both residential and commercial structures including new construction, renovation, and disaster restoration phases. Our certified and experienced staff will use the most advanced scientific methods with our sophisticated line of equipment to get your home back to pre-loss condition quickly, professionally, and with the personal attention to every detail.